Internet provocateur and InfoWars proprietor Alex Jones is being systematically excluded from social media platforms. This is, plainly, an attack on free speech. Over the weekend, Facebook removed several Alex Jones-related pages, and Apple deleted many of his podcasts. On Monday, YouTube followed suit by deleting his video channel. Pinterest closed its InfoWars page. Twitter may soon do the same. The timing is no coincidence: all of these outlets are responding to a campaign by left-wing activists who are determined to shut down conservative voices — including Breitbart. It is a shameful effort — which is why some of those responsible for the boycotts have tried to maintain their anonymity. Today, they are circulating “copy/paste” talking points that argue they are not abusing freedom of speech or the press by pushing companies to ban Jones, because “free speech protects you from your government.” Jones is being censored by private companies, not the government. He has no right, after all, to force anyone to carry his content. It is true that the First Amendment is not implicated by private censorship, but free speech certainly is damaged by it. From the point of view of the person being silenced, it makes absolutely no difference whether the censor is a policeman or a mob. And freedom of speech is a social value, a characteristic of an open and democratic society that has exists quite independently of the government. It is — or ought to be — sustained by civil society, even and especially when the views expressed are objectionable. We have the right to express contrary views — or to ignore those who seek to offend. That is the traditional American approach, and it has made us the freest and most creative nation in history. Some have tried to justify the campaign against Jones by arguing that he is not a journalist. But press freedom does not require government accreditation. 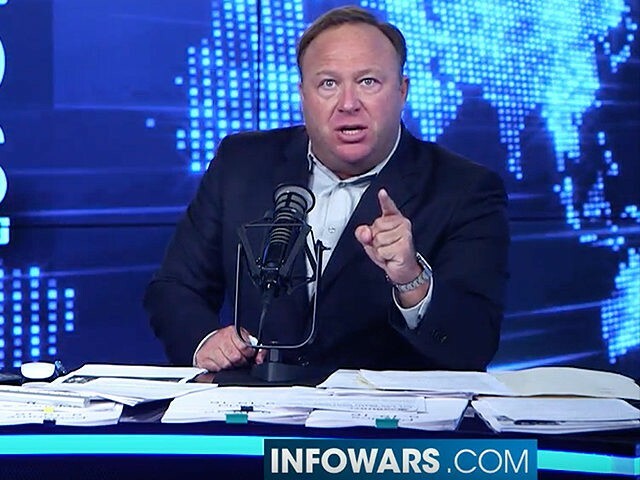 No one is forced to listen to Jones or to watch him. He is being scapegoated for his success by people who hope he will not be the last target. They hope to “de-platform” others with whom they disagree, even though they are tacitly admitting they lack the brains and courage to win in the marketplace of ideas. The left has been increasingly opposed to free speech in recent years, starting on college campuses, which have become danger zones for conservatives even as administrators rush to create “safe spaces” for liberals. President Barack Obama excoriated the Supreme Court publicly for its decision in Citizens United, and Hillary Clinton ran for president in 2016 on an explicit promise to change the First Amendment to deny corporations free speech. But Trump’s surprise election sent that intolerance into overdrive. The left blamed “fake news” on social media platforms, and conservative news websites, for creating the world within which Trump found his audience and broadcast his message. They are determined to prevent that from happening again — just as the IRS was determined to stop Tea Party groups from organizing their 2010 victory. When the left loses fair and square, they change the rules — even if that means attacking the basic freedoms that all Americans enjoy. If that is the standard, then the entire mainstream media is in danger of censorship, since they are obsessed with a theory of Russian collusion with Trump for which no evidence exists. But that is not the standard, because no left-of-center outlets are ever subject to the same treatment. Last week, the New York Times appointed an openly racist, anti-white journalist to its editorial board, and no one has tried to exclude the Times from anything. Nor should they. Readers can discount the value of the Times‘ editorials for themselves. And as Andrew Breitbart was fond of saying, the answer in America has always been “more voices, not less” — to fight bad speech with more speech, not to quash it.